‘Elite’ makes this reviewer think of Imperial Guards trudging up a Belgian slope, or chaps in black and gas masks, hanging from ropes. In this surgical context, it is defined in an opening page as ‘the part of a group regarded as the most distinguished’, and, indeed, this book is about profile, image and the perception created of one’s expertise. Another puzzle on the cover was the building portrayed. It took some clever detective work, but this proves to be part of the McCullough Institute for Appearance and Health in Alabama. Now, this does host the McCullough Plastic Surgery Clinic, but also boasts two golf courses and a location on the coast of the Gulf of Mexico. The website suggests a working environment unfamiliar to those of us working on this side of The Pond, undoubtedly. This is a paperback book of philosophy, but with practical tips regarding practice, business and finance, and professional/career management. In many ways, it is like those self-help or personal improvement texts so characteristic of airport departure lounge bookshops. The opening chapter is encouraging, in that our specialty is recommended as the ideal grounding towards this elite practice, and indeed this reflects the author’s own training. However, we are later, repeatedly, advised that continuing to do the odd tonsil to pay the rent is ill advised when seeking fame and fortune in facioplastic surgery. Chapter 4 is entitled ‘The Image of an Elite Facial Surgeon’ and sets the tone for the rest of the book. Public image demands a busy social life and a high profile amongst the great and the good in the community, illustrated by an impressive list of tactics to employ. ‘The Role of Social Media’ followed, and made this reviewer feel old (although in practice 10 years junior to the author). The demand is far more for rejuvenation than for alteration of facial features it seems, and ‘maintenance’ interventions are stressed and rewarding, in every sense one imagines. The author stresses holistic care, as does his practice, undoubtedly, and the importance of youthful thinking by all. A very thought-provoking illustration of the progressive ageing of the male face, over each decade, appealed so much that it is repeated 20 pages later. This book is less the usual ‘How-I-Do-It’ description of procedures than the common sense acquired in a long and prosperous career. Otoplasty, for example, is effectively a single page of text. 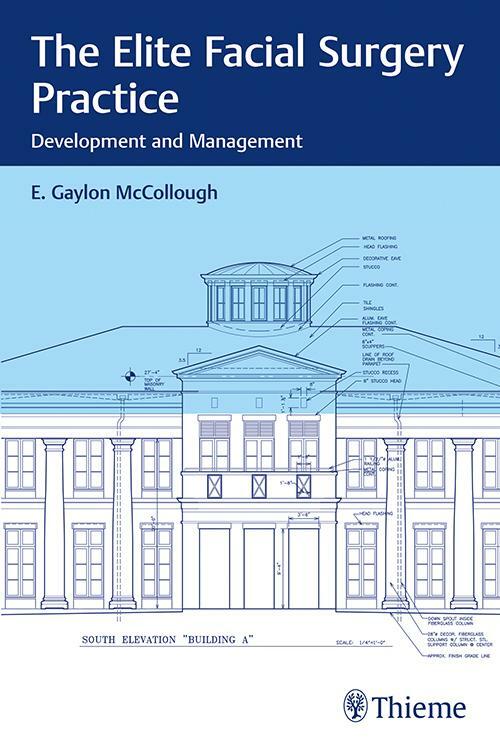 The ‘Practice as an Investment’ chapter does describe how the author showed the business acumen over four decades to establish the centre that bears his name. There is a commercial emphasis that will seem foreign to many UK readers, struggling with our National Health Service role and limited opportunity for part-time private practice. This veteran surgeon is clearly dedicated to his work and cannot envisage retirement, but does share many pearls of wisdom here.